Stars like Kevin Durant and Carmelo Anthony were known commodities in high school, but others—like Jimmy Butler and Paul George—have blossomed into Olympians. Mike Krzyzewski and 12 of the best players in the NBA are in the hunt for USA Basketball’s 15th Olympic Gold Medal. The Olympic roster consists of past NBA scoring champions, league MVPs and a combined 33 All-Star game appearances. But before the 12 players were NBA superstars, they were high school prospects. Some, like Harrison Barnes and Kyrie Irving, were highly touted in the prep ranks, but others, like Jimmy Butler, were not. How did the 12 players representing USA in Olympics get to this point? Here’s a look at who they were as high school players. Harrison Barnes finished atop Scout’s 2009 rankings, just edging out a quickly emerging Kyrie Irving (more on him below). Barnes, a native of Iowa, hit the scene in the summer prior to this junior season playing with All-Iowa Attack. His coming out party was at the Jayhawk Invitational, where I wrote, “the 6' 6" wing is smooth, athletic and a pretty good shooter from deep.” From there, Barnes built on his game and quickly moved up the rankings and into five-star status. His work ethic became sort of folklore in the recruiting industry, as he would regularly workout for college coaches at 6 a.m., including running sprints in the snow on the Ames (Iowa) High track. Barnes, who was a high school teammate of Doug McDermott, ultimately ended up at North Carolina, in what turned into a recruiting battle between the Heels and Duke. Barnes was ultimately drafted in 2012 at No. 7 after two seasons in Chapel Hill. He has since has won a NBA title and recently signed a max contract with the Dallas Mavericks. Kyrie Irving had a decorated high school career that ended with co-MVP honors in the Jordan Brand Classic and a selection to play in the McDonald’s All-American game. Irving played his final two seasons of high school for a loaded St. Patrick’s (N.J.) team that also featured Michael Kidd-Gilchrist. On the AAU circuit, Irving ran with a small team called the NJ Roadrunners. Irving built a reputation as a dynamic playmaker and scorer, which has obviously escalated even further. Irving was regarded as a five-star prospect for majority of his high school career and was No. 5 overall heading into his senior season. After a great final year and impressive showings at the McDonald’s All-American practices, Irving moved up to No. 2 overall, only behind his close friend, Harrison Barnes. It should also be noted that Irving was among the first prospects to utilize social media in his college recruitment, as he held U-Streams to communicate with fans and was among the first to have an active presence on Twitter. Despite being the Godson of Rod Strickland, who was on staff at Kentucky, Irving committed to Duke over the Wildcats and Texas A&M. 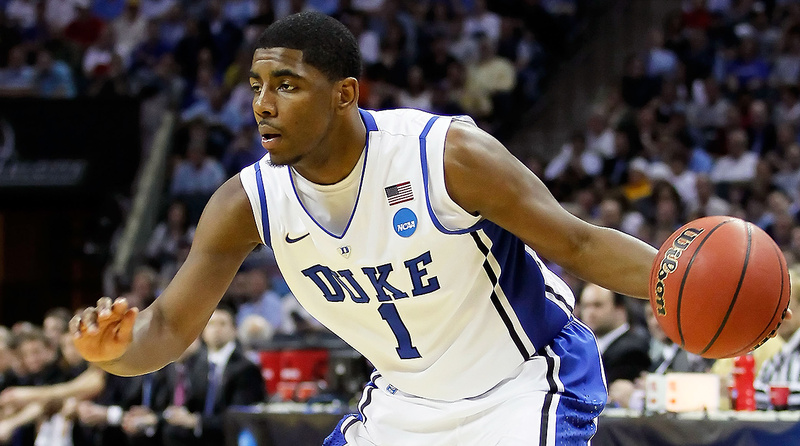 After one shortened season at Duke, where he sat out 26 games with a toe injury, Irving was taken No. 1 overall in the 2011 NBA draft. Irving helped the Cavaliers win an NBA championship and has been an All-Star in three of his five seasons in the NBA. 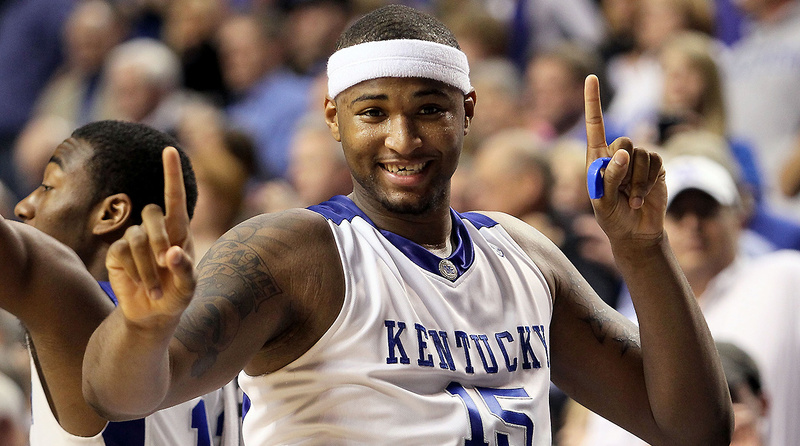 An eventual Kentucky signee and standout, DeMarcus Cousins trailed just Derrick Favors and John Wall in Scout’s final 2009 rankings. If it were done over, Wall and Cousins would still be Nos. 1 and 2, but the order would be up for debate. Regardless, Cousins was a strong, tough and physically dominant post player with an impressive scoring arsenal when he was a prep star. He played with an edge, similar to the one you see today. After averaging 15.1 points and 9.8 rebounds a game during his freshman season at Kentucky, Cousins was drafted No. 5 in the 2010 NBA draft. In six seasons, has averaged more than 20 points per game three times and has averaged a double-double four times. In what turned out to be a decent class, at least at the top with players like Jrue Holiday, Tyreke Evans, Greg Monroe, and Brandon Jennings having good NBA careers, DeMar DeRozan finished his high school career ranked No. 6 overall. If you were going to re-rank the class, DeRozan, a two-time NBA All-Star, would be a tad higher. DeRozan, who played AAU with Brandon Jennings on Belmont Shore, was an elite level athlete in high school who has blossomed into the high-flying Raptors wing. Although he was a tad raw and inconsistent as a shooter, he had immense talent. Questions in high school surrounded his motor and jumper, but late in his prep career he started putting it together. After a year at USC, DeRozan was drafted No. 9 in the 2009 NBA draft. Through seven seasons in the NBA, DeRozan has been an All-Star twice. Draymond Green would certainly be considered an overachiever, but he was a known prospect in high school. Green had a successful career at Saginaw (Mich.) High, where he led the Trojans to back-to-back Class A State Championships. Green was impactful on the summer circuit playing for the Detroit-based The Family AAU program. In an evaluation from April 2007, I noted Green’s mid-range game and shooting touch, but cited his strength as his play inside: “It’s his rebounding and tenacity in the paint that impresses the most.” The question in high school centered on Green’s body and lack of conditioning. Green finished ranked as the No. 26 power forward and No. 86 overall prospect in 2008. Green originally committed to Tubby Smith at Kentucky. But when Smith bolted for Minnesota, Green opened up his recruitment and ended up at Michigan State. Green played four seasons at MSU and was named First Team All Big Ten as a senior, when he averaged 16.2 points, 10.6 rebounds and 3.8 assists a game. Green was draft 35th by the Golden State Warriors in 2012 and has developed into one of the most versatile and effective players in the NBA. Green, who averaged 12.6 points, 8.7 rebounds and 4.5 assists this past season, signed a five-year, $82 millions dollar deal to stay in Golden State. 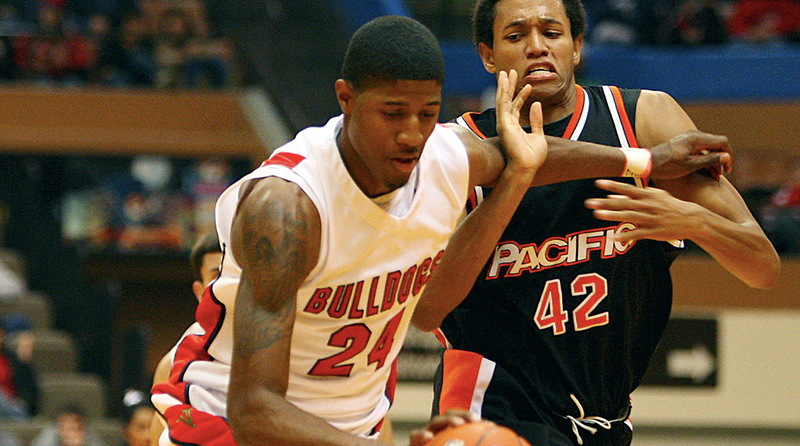 One of the surprises of this group was Paul George, who is nowhere to be found on rankings or lists from high school. A native of Palmdale (Calif.), George actually played AAU ball with Jrue Holiday on Pump N Run. At the time George was 6' 7" and physically weaker than his peers. George jumped on a scholarship offer from Santa Clara, who was the first school to offer him. He later decommitted and committed to Pepperdine after attending their Midnight Madness festivities. After Vance Walberg resigned as Pepperdine’s head coach, George decommitted and landed at Fresno State, where he played for two seasons before getting drafted by the Indiana Pacers at No. 10 in 2010. George has now participated in three NBA All-Star games and in 2013 signed a five-year max contract extension. Former Arizona assistant and current ESPN broadcaster Miles Simon remembers it vividly. His father, who lived in Southern California, called to see if he was recruiting Klay Thompson, who happened to be the son of a family friend. At that time the answer was no, but Simon hopped on a plane to evaluate the 6’ 6” wing at Santa Margarita Catholic. In the end, Arizona didn’t offer him a scholarship, as Lute Olson never had the chance to evaluate him. Thompson picked up just one Pac-10 offer and he jumped on it, eventually committing to Tony Bennett, who was at Washington State but left for Virginia before coaching him. Despite the limited offers, Thompson wasn’t completely off the radar to high school scouts. Thompson finished Scout’s final rankings at No. 45 overall and as the No. 9 small forward. 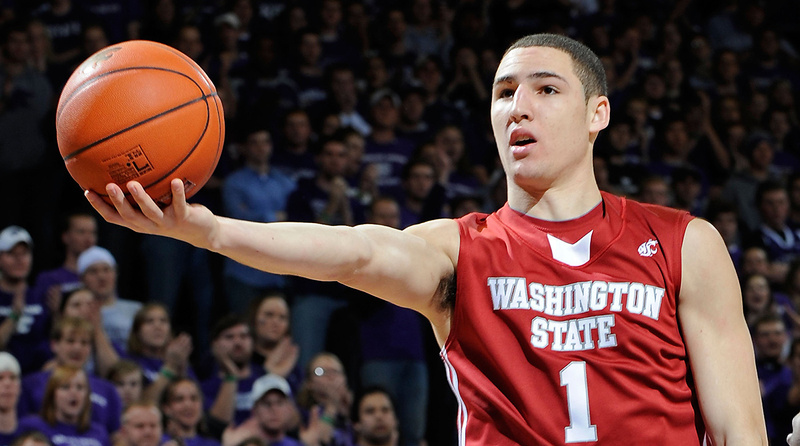 After three seasons at Washington State, Thompson left for the NBA and was drafted by the Golden State Warriors at No. 11. In five seasons Thompson has won an NBA title and been selected as an NBA All-Star twice. As below the radar as Paul George was, Jimmy Butler was even less heralded. Playing at Tomball (Texas) High, just outside of Houston, Butler wasn’t even regarded as a top-50 player in Texas. Butler’s only offer out of high school was from Sam Houston State. Although a qualifier, he opted to go to Tyler Junior College out of high school. 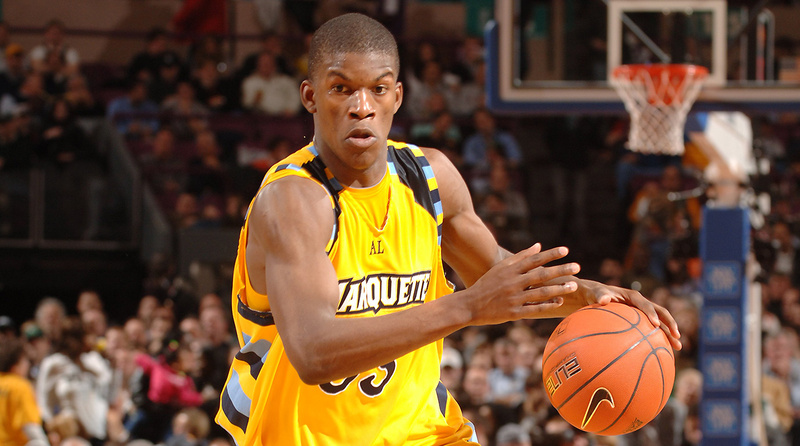 Butler ended up playing three seasons at Marquette for Williams and was selected 30th by the Chicago Bulls in the 2011 NBA draft. DeAndre Jordan was nestled behind the likes of O.J. Mayo, Kevin Love, Eric Gordon, Derrick Rose, and Kyle Singler and just in front of Patrick Patterson and J.J. Hickson at No. 11 overall in 2007, which is now considered one of the most talented classes of the past 20 years. 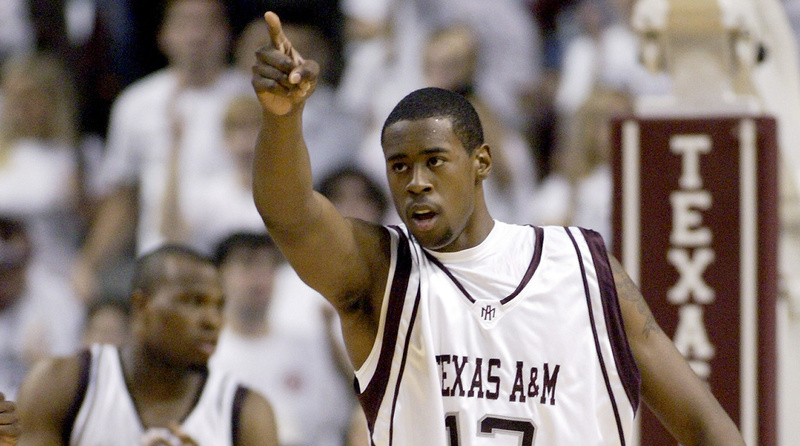 Jordan only played one season at Texas A&M and his numbers were fairly pedestrian at 7.8 points and six rebounds a game. Jordan wound up being drafted No. 35 in the 2008 NBA draft and has certainly outperformed that draft position, as he led the NBA in both field goal percentage and rebounding in the 2013–2014 and 2014–2015 seasons. The top spot in the loaded 2006 class came down to Durant and one of the most dominant post players in high school basketball history, Greg Oden. A smooth scorer with terrific size for a perimeter player, Durant finished just behind Oden, who never overcame injuries. Regardless, Durant was thought of as a special talent throughout his high school career. Current Duke assistant Jon Scheyer was a member of the 2006 class with Durant and played with and against him in the McDonald’s All-American game, Jordan Brand and in AAU. “Honestly, it’s hard to imagine a freshman or sophomore in high school turning out to be a top player in NBA, but with Kevin, I thought him and Oden were going to be future All-Stars, no question,” Scheyer said. 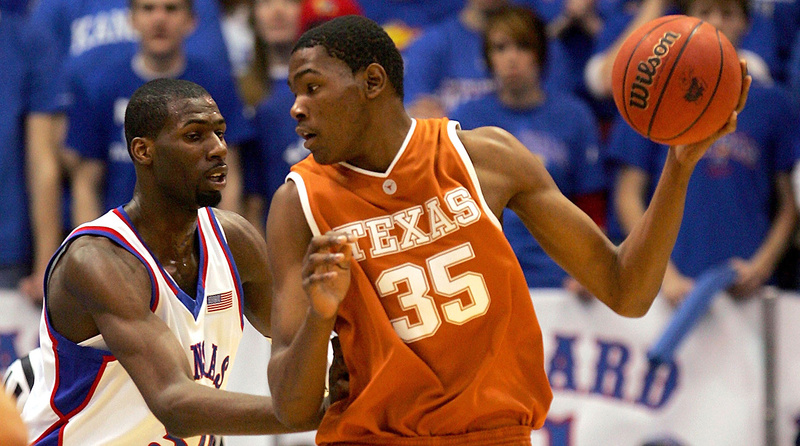 After a season in Austin (Texas) with the Longhorns, Durant was selected No. 2 in the NBA Draft just behind Oden. Durant has led the NBA scoring four times, won an MVP in 2014 and is a seven-time NBA All-Star. It’s safe to say that Kyle Lowry has outplayed his final 2014 ranking of No. 37 overall and No. 12 at the point guard position. In high school, Lowry was known for his toughness and grit and had the reputation as the ultimate winner. Lowry emerged at the Slam Dunk to the Beach when he was a junior and built on that playing for Philly MJC in the summer. His team would routinely show up to tournaments and play with six players. While he exuded leadership and made winning plays, there were questions about his weight, as he struggled to get his body in shape. Those struggles would follow him, but ultimately what made him great—his attitude, desire and work ethic—won out. 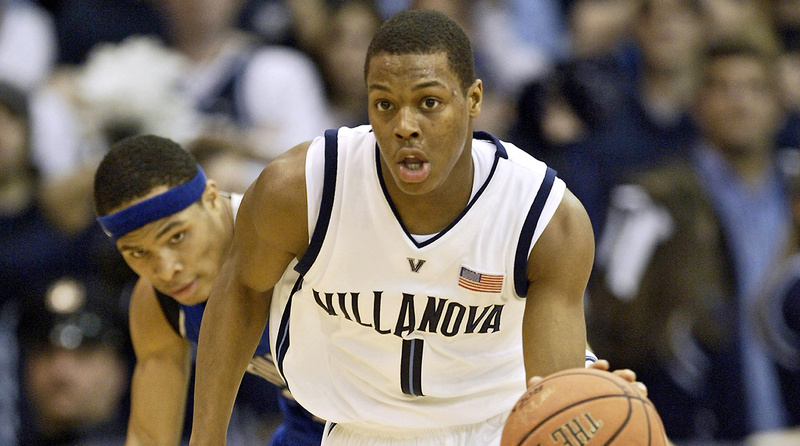 Lowry eventually committed to Villanova, playing two seasons under Jay Wright. His sophomore year he averaged 11 points and 3.7 assists per game. He was then drafted No. 24 by the Memphis Grizzles in the 2006 NBA draft. Since, Lowry, 30, has developed his game and just completed his 11th and best season in the NBA, where he averaged 21.2 points and 5.7 assists a game. 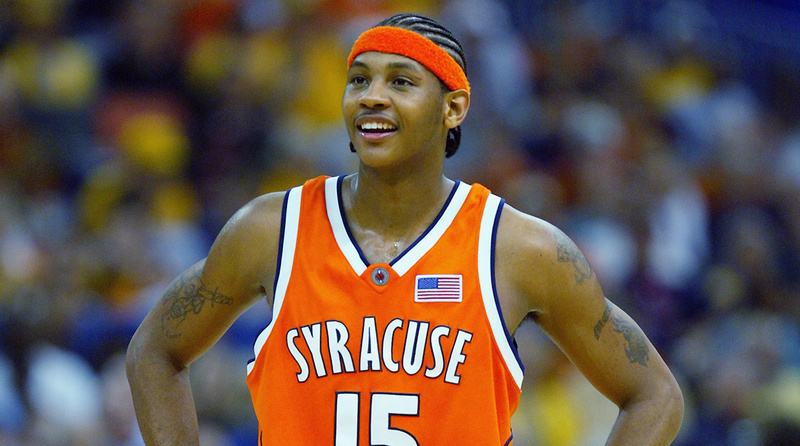 One of the more high profile names on the Olympic team is class of 2002 graduate Carmelo Anthony. Seeing that I graduated high school in the class of 2003 and Anthony was a member of the 2002 high school class, I wasn’t around to give Anthony a professional evaluation. But as a basketball-starved kid from Kentucky, I was able to watch him at the Marshall County Hoopfest in Benton (Ky.). A graceful scorer, Anthony was 6' 7" at the time and was the best player on a loaded Oak Hill Academy team. Telep ranked him No. 2 overall in the class, just behind Amare Stoudemire, and he went on to play a season at Syracuse. Anthony would end up being selected No. 3 in the 2003 NBA draft.